First, once you weigh points and decide, you can always change your mind and adjust your choice. Second, it is your choice as a parent and even well-meaning criticism is background noise as long as you are happy with what you are doing for your baby and you. Third, you can use a combination to suit the situation. Disposables have some advantages. Remove one piece; clean the baby; replace with one piece. You don’t have to keep track of covers and inserts. You don’t need a waterproof storage bag or can for wet and soiled diapers until you wash again. It’s easy to pack disposables for wherever you take the baby. On the other hand, what helps with absorbency is mostly plastic. The diapers may be disposable, but they add to landfill deposits. Child care centers that accept infants and toddlers likely have restrictions on their usage. Consider your preference if you are looking into day care options. As for cost, an infant averages about eight diapers each day, so national brand diapers could run as much as $900 per year. As babies grow, they use fewer diapers each day, but the cost of each diaper increases, so the annual cost is similar. Store brand diapers can run about $400 per year in the same scenario, and some national brands are less than the $900 quoted above. Special nighttime disposables are more, so cost for a year might run between $420 and $930. It’s best to plan for three years of diapers, and if potty training occurs earlier, good for you! There are many blogs and websites that discuss cloth diapering. Often written by moms with experience, they are worth perusing. One guide to cloth diaper types has some good explanations, and one mom’s retrospective look at her experience might help in avoiding mistakes. Another blogger goes into best care of the diapers. How many are enough? That may depend on your baby, but 16 to 24 seem to be sufficient for the moms who use cloth. That does assume frequent laundry loads, so access to a washing machine would be necessary. Laundromats can frown on diaper washing in their machines, so your own washer, or maybe Grandma’s, is a surer bet. Prices and quality can vary, so some research is worthwhile. Also, check out stores that cater to baby needs and carry cloth diapering items both new and gently used. If you have access to a sewing machine, homemade inserts are another possibility. If you were to purchase your initial supply new, 18 all-in-ones that adjust to size would be about $125 at a large discount store. Throw in a dozen cloth inserts for $35 and three covers for $40 and your total would be $200. You may need to add to the collection with some sized-to-fit as the baby grows, and your washing costs would be greater. 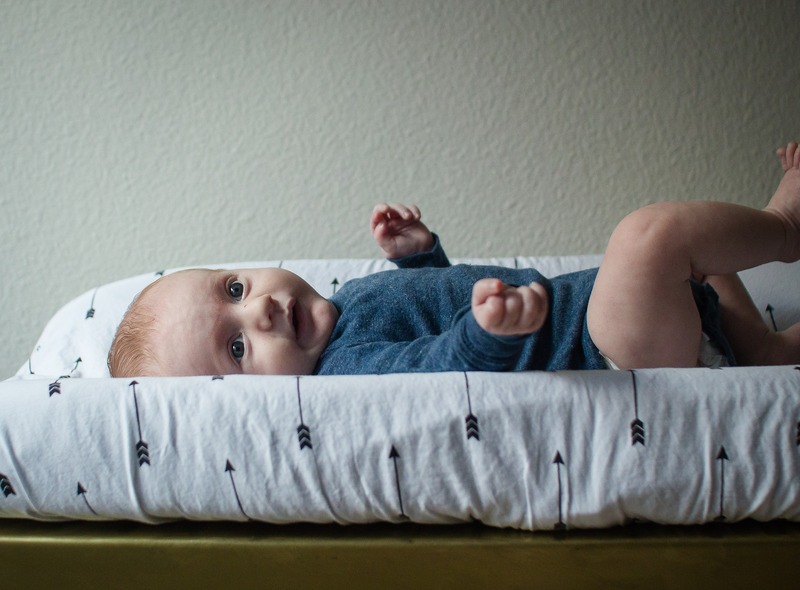 Although less convenient and more labor-intensive, using cloth you would still be able to get three years of diapering for less than the lowest cost of disposables for only one year. Many disposable diapers and doctors offices give away free samples. Some cloth diaper companies offer assistance for families who are in poverty. Pregnancy resource centers (which help women after birth) and maternity homes may also provide assistance. Check out this article for more information on where to find free diapers. Keeping up with numerous soiled cloth diapers may be more than you or another caregiver may want to do. You could consider a hybrid situation of disposable for child care, baby sitters and other caregivers, and cloth at home. Even if you choose primarily cloth diapers, you may find disposables more absorbent for nighttime use. Think about cost, convenience, and what will make you and your baby happy, and if you need help for your child, ask for it. Assistance is out there.